Below you will find the questions that you are asked the most. If you don't see your question, go to contact us and leave a quick message and we'll be happy to assist you. Who is Christine Paris enterprises USA Inc.? Christine paris enterprises USA Inc. is an international immigration assistance and job placement services. What are the requirements? Do I qualify? what all the areas you are providing visa? We are providing visa to nurses ,doctors, engineers , information technologist, teachers, refrigeration and/or auto mechanics and all other qualified professions. Does CPEUSAI provide any study aids to prepare for any of the requisite examinations like NCLEX-RN and IELTS in India? How long will be the processing period for my immigrant/or working visa to the USA? We are povidingI-140/Employment Based Immigrant Visa- it takes 8-10 months depending on the USCIS, for the H1B Visa/Working Visa it will take 2-3 months. Can my family be included in the immigrant visa petition? yes, we do a family package, we include the spouse, and children below 21 years old. No, we do not deduct salary, you will receive your salary direct from your employer's payroll. Is a Nurse allowed to withdraw the agreement after signing the contract? We are sorry; you are not allowed to withdraw your application once you have signed the agreement. The reason being once you sign the agreement with CPEUSAI, we will the start processing of your application, which incurs certain expenses. However after we have incurred these expenses if you still wish to withdraw your application, you will have to reimburse the expenses to us. How long is my commitment to my employer in the USA ? You will be required to complete a two to five years contracts depending with your employer. What are the benefits of pursuing a nursing career in the USA UK and Australia ? A nursing career in the above countries will offer you with endless opportunities to master your patient care and critical thinking skills, help you expand your status of educational achievements, explore a new country and culture, improve your family lifestyle, while earning exceptional salary and benefits with your family. What happens when I complete my initial employment term? After completing your contractually obligated term of two to five years, you have an option of continuing with the same facility or moving to another location of your choice. Whatever be your decision, if you want CPEUSAI is there to support you. The Commission on Graduates of Foreign Nursing Schools (CGFNS) is a non-profit, internationally recognized leader in the education, registration and licensure of healthcare professionals worldwide. CGFNS protects the public in relation to evolving healthcare policies and standards of professional practice for migrating healthcare professionals. What are the differences between the CES report and the CGFNS Certification Program? The CES report summarizes an applicant’s credentials. It does not include a pass/fail eligibility review or an examination as in the Certification Program. The CES evaluates the educational/professional credentials of multiple types and levels of healthcare professionals, while the Certification Program accommodates ONLY first-level, general (registered) nurses. A critical difference is that the CGFNS Certification Program indicates one’s likelihood of passing the National Council Licensure Examination for Registered Nurses (NCLEX-RN® examination). Multiple, foreign-educated healthcare professionals can utilize the CES. I already applied for or have been certified by the CGFNS Certification Program. Must I submit any other documentation for the Credentials Evaluation Service? The documentation required for the Certification Program differs from that required by the Credentials Evaluation Service. It will be necessary for you to request a full academic transcript from your foreign school listing each course you completed during your professional training, since the Certification Program does not require a full transcript and the school may not have provided one. The National Council Licensure Examination for registered nurses (NCLEX –RN) is a required test to receive professional licensure in the field of nursing and is created by the National Council of State Boards of Nursing (NCSBN). It’s a national examination in the United states of America. Application procedure and licensing requirements are determined by each State Board of Nursing and may differ from state to state. What is the format of NCLEX-RN®? The NCLEX CAT testing format stands for a computer adaptive testing format. The test format will be a multiple-choice questions/answer format. An NCLEX-RN examination can be 75 to 265 questions long. Of these items, 15 are pretest items that are not scored. Maximum time allowed for the exam is 5 hours. There is no time limit for each question. What is the passing score for the NCLEX-RN exam? After I complete my direct NCLEX-RN when can I start my immigration. Is IELTS certificate necessary to start my immigration? You can start your immigration process when you will be pass your NCLEX-RN. There is no need to wait for IELTS to start immigration processing. You can start your immigration process immediately after you pass your NCLEX-RN. But you should do IELTS during immigration processing period and get your visascreening certificate before embassy interview. How do I apply for IELTS? or ID card on your application form. Do I take the "General" or "Academic" module in IELTS for my US processing? The Academic Reading and Writing Modules assess whether a candidate is ready to study or train in the medium of English at an undergraduate or postgraduate level. General Training is suitable for candidates who are going to English speaking countries to complete their secondary education, to undertake work experience or training programs not at degree level, or for immigration purposes to Australia, Canada and New Zealand. How much I have to score in IELTS for US Visa process? 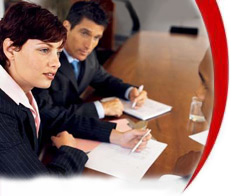 IELTS provides a profile of the candidate’s ability to use English. Candidates receive scores on a Band Scale from 1 to 9. The overall band for nurse candidates are 6.5 and Spoken Band: 7.0 (Academic Module Only). How soon can a candidate repeat the test? From 1 May 2006 the policy on candidates re-taking IELTS will be amended. The restriction on re-taking IELTS within 90 days will be removed and candidates will be able to repeat the test whenever they wish. For how long is an IELTS score valid? There are a number of variables affecting the length of time over which an IELTS score remains valid. As a general rule it is recommended that a Test Report Form that is more than two years old should only be accepted as evidence of present level of ability if accompanied by proof that a candidate has actively maintained or tried to improve their English language proficiency. what is NMC and how I will apply for NMC? NMC is nurses and midwives council in UK. Click here to get details placement and immigration. What is VisaScreen™ and why do I need it? US Immigration law now requires that healthcare professionals, other than physicians, complete a screening program in order to qualify for certain occupational visas. VisaScreen™, a program offered by The International Commission on Healthcare Professions (ICHP).The Visa Screen Certification process comprises of three parts. 2. Passing either the NCLEX-RN exam or obtaining the CGFNS Certificate. I am a nurse who holds a CGFNS Certificate. Do I still need to apply for the VisaScreen™ Certificate? Yes. The VisaScreen™ Certificate is required for all healthcare professionals (except physicians) who are seeking an immigrant visa or a change in status to permanent residency. One of the requirements of the VisaScreen™ program is that nurses must have passed either the CGFNS Qualifying Exam or the NCLEX-RN® examination. Since you already have the CGFNS Certificate, you will not have to take another nursing exam to obtain your visa, and your transcripts on file may be used for the educational evaluation element of the VisaScreen™ program. What examinations are needed for the VisaScreen? You only need to successfully complete either the CGFNS Qualifying Examination or the NCLEX-RN. In general, what type of visas do foreign health professionals apply for? we are providing I-140/Employment Based Immigrant visa. If I am a registered nurse, do I need to complete the CGFNS Qualifying Exam and the NCLEX-RN examination in order to complete my VisaScreen™ application? No. You only need to successfully complete either one of the exams. What is the first step to obtaining a green card? I-140 application The immigration process begins when an employer submits an immigrant visa petition (Form I-140) to the office of the Immigration and USCIS (UNITED STATES CITIZENSHIP AND IMMIGRATION SERVICES) having jurisdiction over the nurse’s place of intended employment. The petition must be accompanied by Labor Department forms ETA-750A and B and proof of the employer’s ability to pay the prevailing wage offered to the employee. c) A full and unrestricted license to practice professional nursing in the State of intended employment or a certification that she has passed the examination given by the Commission on Graduates of Foreign Nursing Schools (CGFNS) or NCLEX-RN. What is the final step in obtaining a green card? The USCIS (UNITED STATES CITIZENSHIP AND IMMIGRATION SERVICES )first sends the approved visa petition to the National Visa Center (NVC).Then the NVC forwards a packet to the nurse or his/her attorney containing biographical information forms to be completed by his/her and his/her family members, and a list of documents which must be presented at his/her interview for permanent residence. Generally, the forms are submitted directly to the US consulate. The International Commission on Health Care Professions is a division of CGFNS. CGFNS launched ICHP in 1996 to administer its VisaScreen program, which is a federally approved screening program for foreign healthcare workers seeking an occupational visa in the United States. VisaScreen enables healthcare professionals to meet this requirement by verifying and evaluating their credentials to ensure that they meet the government’s minimum eligibility standards. Applicants who successfully complete VisaScreen receive a VisaScreen Certificate. Can a Nurse get an Immigrant Visa without passing the TOEFL / TSE or IELTS? No, it is not true that you can get an Immigrant Visa without the TOEFL / TSE or IELTS and Visa Screen Certificate. During your interview at the U.S. Embassy and prior to the issuance of an Immigrant Visa, you will be required to present a Visa Screen Certificate. Before you are issued a Visa Screen Certificate, you are required to pass the TOEFL / TSE or IELTS exam.